You're here because you're looking for a voice-over recording and/or an audio production. Let us give a voice to your project when you have the need for an audio presentation. This page represents our ability to give you a broadcast quality audio production; it's the most important page of the site. For voice-over recordings, narration or audio production services contact us. To get a free estimate on any professional voice-over service call 516-454-0859. Take a listen; then contact us so we can get to work on your audio project. Right-click and 'Save Link As' to download the Commercial demo. This link is a compilation of radio commercials and audio for TV commercials. 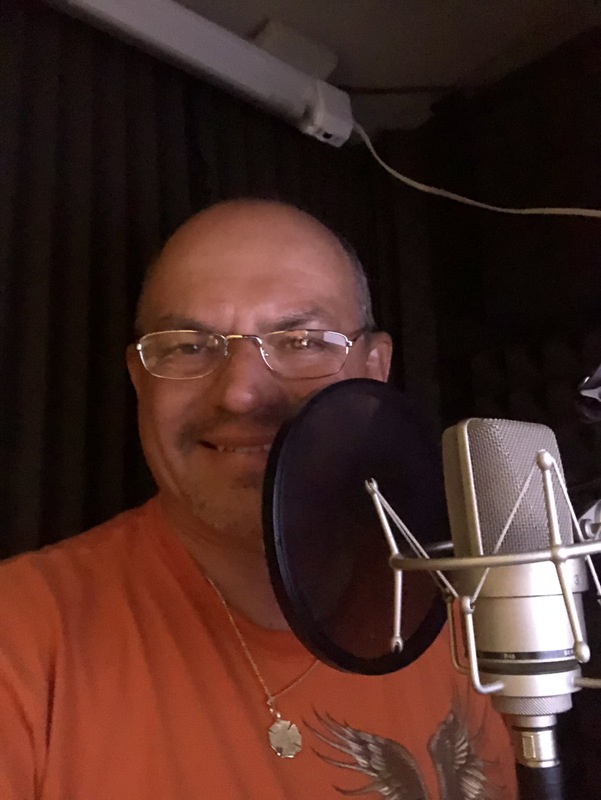 You could also find In-store announcements, audio production, commercial audio, radio commercial production and voice-over or voice recordings. Right-click and 'Save Link As' to download the E-Learning demo. Compilation of e-learning recordings. E-Learning is a sub-category of narrations and is, basically, voice recordings of material that is used for education purposes. Right-click and 'Save Link As' to download the Automotive demo. A compilation of various commercial type productions for the automotive industry. Radio production, audio for TV commercials and voice production. View details of our voice narration service. Right-click and 'Save Link As' to download the Promo demo. Promos carry their own category but have many sub-categories, as well. Audio presentations, imaging (radio/tv) in-store announcements, in-store marketing, kiosk audio, movie trailers, radio/television promos etc. Right-click and 'Save Link As' to download the Narration demo. Narrations also cover an array of sub-categories: Audio books, training, presentations, educational material, e learning, industrial, instructional, medical narration, real estate tours, sales presentations, tours, and tutorials. For male voice-over talent contact us. Right-click and 'Save Link As' to download the On-hold demo. This link is geared towards on-hold messages or message on-hold; some like to refer to it as Internal Voice Recordings (IVR); voicemail's. It could also fall under the category of telephone marketing and Phone prompts. This is a short video of Tiki Action Park's TV commercial. Long Island's Best Miniature Golf, Go-Karts, Arcade, and Amusement Park.